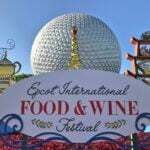 Opinion: What Happened to the Epcot Food & Wine Festival? It seems like the Epcot International Food & Wine Festival gets bigger and longer each year. I’ve been delighting in the worldwide flavors the festival brings and the learning opportunities it offers about the culinary arts for about the past decade. However, there’s been a paradigm shift amongst the crowd the festival attracts that has caused me to plan to steer clear of Epcot in the fall going forward. Epcot, like the other theme parks at the Walt Disney World Resort, is a vacation destination for families. But my experience this year suggests that during Food & Wine, World Showcase becomes a playground for adults who arrived with the sole intention of getting hammered. Once upon a time, Disney catered to this group with Pleasure Island, an adults-only nightlife section of Downtown Disney where they could be loud, lewd, and make poor choices knowing that children wouldn’t be present to witness any of it. 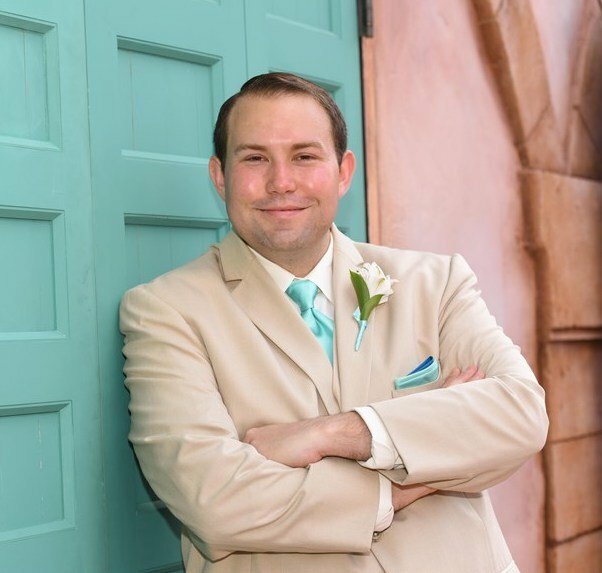 Disney got rid of it when it became apparent that it was doing more harm than good to the overall guest experience. Pleasure Island may have vacated the 43-square miles of Disney property, but the crowd has found a new home at Epcot during Food & Wine. Before I dive in too far, the festival has always included alcohol, initially focusing on wine and growing to include beer. There’s nothing wrong with being a wine and beer enthusiast or having a deep appreciation for the craft of making them. There’s also nothing wrong with enjoying hard liquor and the same behind the scenes processes to create them, but the festival has grown to cater to a crowd that just wants to come and consume as much of it as possible as fast as they can. Responsible drinking is long gone at Food & Wine from a significant number of guests, based on my observations this year. Large groups of adults are visiting Epcot just to get hammered. Some of the groups I observed exceeded twenty individuals in their party. They enter the queue for kiosks together, or fight their way through to catch up with their party only to check out individually and increase your wait time. They yell things back and forth, often using expletives or crass innuendos. The lines were already long at each kiosk, but now they are also obnoxious. You start to ask yourself if it’s worth your sanity to try the Teriyaki Ginger Pork from Japan. While buying said item, I overheard the cashier look behind him to tell the manager, “There’s too much alcohol at this park.” I couldn’t have said it better myself. Walt Disney Pictures has a policy against smoking in films across all of their brands, including Marvel. You will never see a Disney-owned character created post-2015 with a cigarette in their mouth or hand (not on an officially licensed product, at least). But at Food and Wine, you will see plenty of unofficial shirts throughout the park featuring characters drinking, their likeness used as a container for alcohol, or their catchphrase manipulated to be about drinking. I might be a little oversensitive to this as I believe in character integrity, but for those of you with kids, how would you feel if your kids saw an image of Tinker Bell where her wand was replaced with a wine glass and the name above her said “Drinker Bell”? If you don’t have kids, how would you have perceived this imagery as a child old enough to understand? This issue is bigger than it seems on the surface and delves into deeper psychological statements we make towards kids about alcohol. If Joe Camel can’t smoke anymore because it makes cigarettes appealing to children, why would Tinker Bell be drinking? Here is a list of other shirts I saw in a single day at Epcot during Food & Wine. There’s a large percentage of repeat guests at Disney World who avoid certain international tourist seasons at the resort because they are known for large groups who yell and chant as they move through the parks. 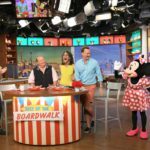 Disney has attempted to combat this by hiring more Cast Members fluent in their language, offering more coaching and information to their group guides, and even seasonally changing menu offerings to attract groups to less popular eating locations. From a scientific standpoint, being drunk impairs your hearing, which causes you to speak louder or yell while you’re drunk. And when you have thousands of people drunk by the time they reach their fourth or fifth country (out of eleven!!! ), then you as a non-drunk individual are sure to get annoyed and put off by it very quickly. Being drunk also impairs your decision making process, meaning people are making poor choices regarding their language and common decency left and right as you meander through the crowds. Disney enforces guest behavior as much as they can, but I’m sure there is a higher percentage of guests kicked out of the park during this season than any other time of the year. It actually made headlines this season when it happened to soccer star Alex Morgan. 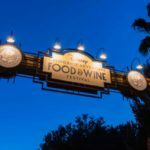 Long lines at Food & Wine are nothing new, but what was a surprise this year is that the lines were long for any cart or stand that serves alcohol, regardless of if they had special items or not. Germany’s courtyard had a full switchback queue that rivaled that of Frozen Ever After in Norway and it was just to buy beer from a pretzel cart that is there all year round. The sake stand in the center of Japan had a line that stretched into the streets and again, it didn’t add anything unique or exclusive to the menu to warrant this. I can’t stress enough that this crowd is not your typical Disney World guest. To them, any beer cart is indistinguishable from a Food & Wine kiosk and their sole interest is the booze. 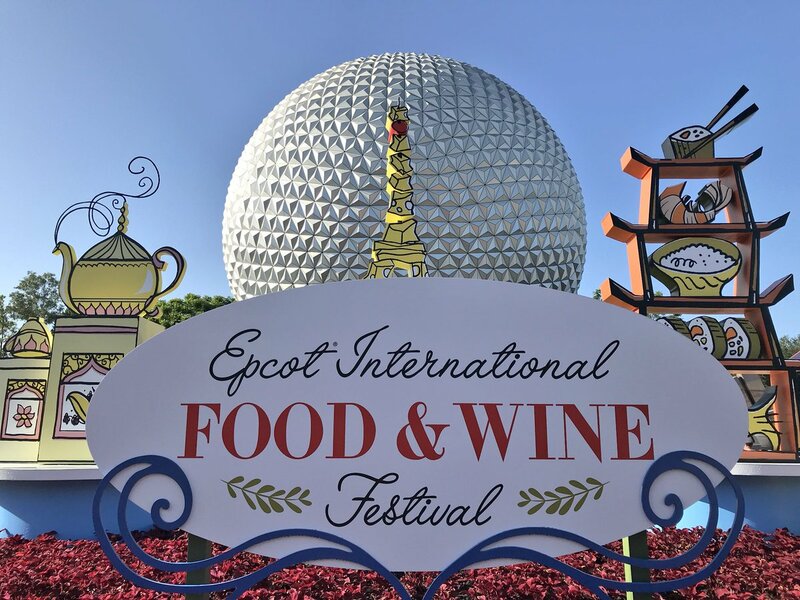 The big question that I began to ask myself was, “Is Disney doing anything to cater to this crowd?” Looking at the menu, there are nearly 70 different wines to sample and almost 60 different beers. You can certainly drink too much of either, but if you’re leisurely strolling and eating your way around the world and pacing yourself, it’s pretty harmless. I would say that the average guest visiting the festival is there to sample food and beverages and is going at a leisurely pace. That’s not the problem. 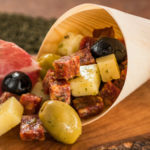 The problem is that a high enough volume of visitors aren’t there for the food at all and there are almost 30 hard alcoholic beverages and cocktails on the menu as well. And with frat-like drinking, chanting, and marching happening, anyone trying to enjoy the festival for what it’s meant to be will have their mood soured quickly. I might also add that there are less than 10 non-alcoholic beverages advertised and one of them, the T=CC Vanilla Tonic Water from the Light Lab, was completely unfit for human consumption and might as well have been undiluted rubbing alcohol. 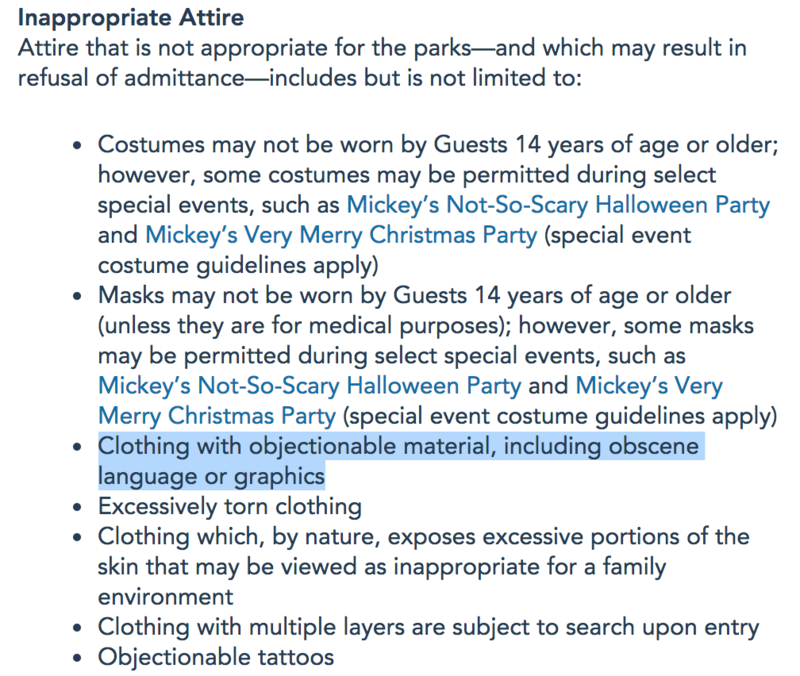 The short answer is that I don’t think Disney is intentionally attracting this crowd, but they also aren’t eager to dissuade them from attending. Another scary thought is that I arrived at Epcot on a Saturday during the Festival at 9:30 am, 30-minutes after the park opened, and the $40 Premium Parking was already sold out. It made me wonder how many of these irresponsible drinkers parked their car at Epcot that day. 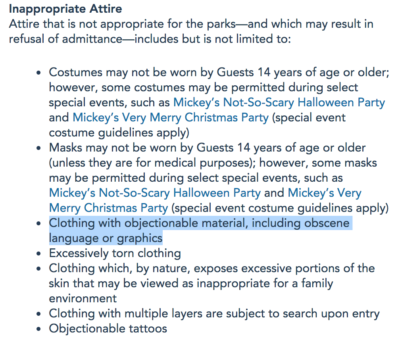 As Bill Nye once said, “There are no easy answers.” While Disney already has a policy against offensive shirts, there seems to be great confusion regarding what is offensive or not. 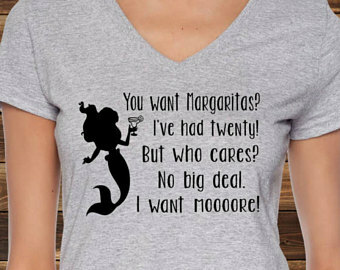 For example, I take offense with the unlicensed shirts that say “She wants the D,” where the “D” is in Disney script. To me, that falls into the category of sexual innuendo, yet I see it all the time at Disney parks on both coasts. So strengthening this policy would likely have little to no effect. The only thing I can think of is a system that limits how much alcohol a guest can purchase per hour. Be Our Guest in Magic Kingdom park has limits on how much beer or wine a guest can order during dinner, Epcot could scan park tickets with each alcohol sale and prevent too many sales per hour per guest. This wouldn’t hurt the guests leisurely enjoying the festival, but would discourage the abusers from coming back to ruin everyone else’s fun. But this would surely increase wait times and I’m sure it affects the bottom line, given that alcohol is incredibly lucrative for Disney, which is why Food & Wine lasts longer each year while other festivals remain about the same. Of course, they could always trick these treasured guests with a “Promotional offer.” Buy 5 drinks in 1 hour, earn a free bus ride to Universal City Walk where you’ll fit right in.